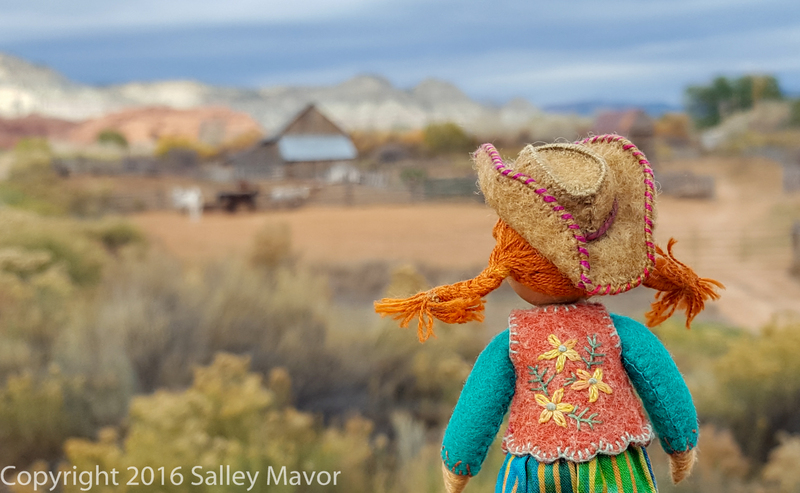 It’s time we caught up with Polly Doll about the second part of her trip west. 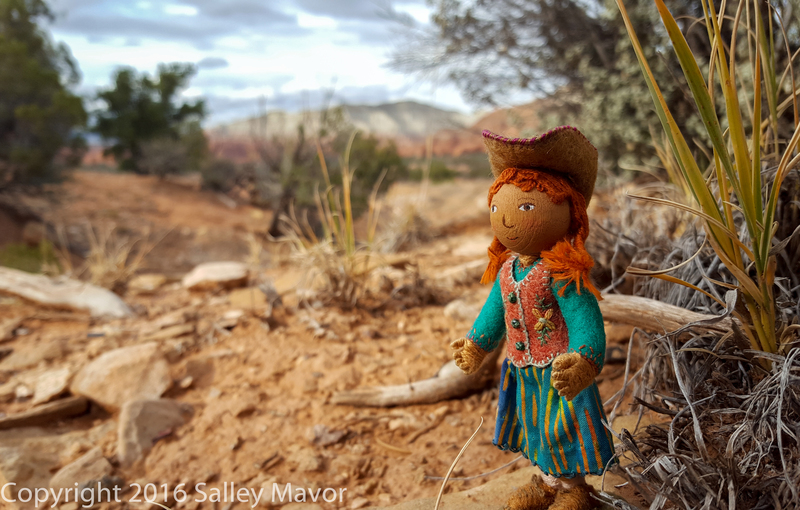 In early November she met up with her cousins in Salt Lake City and then headed to their cabin in southern Utah. 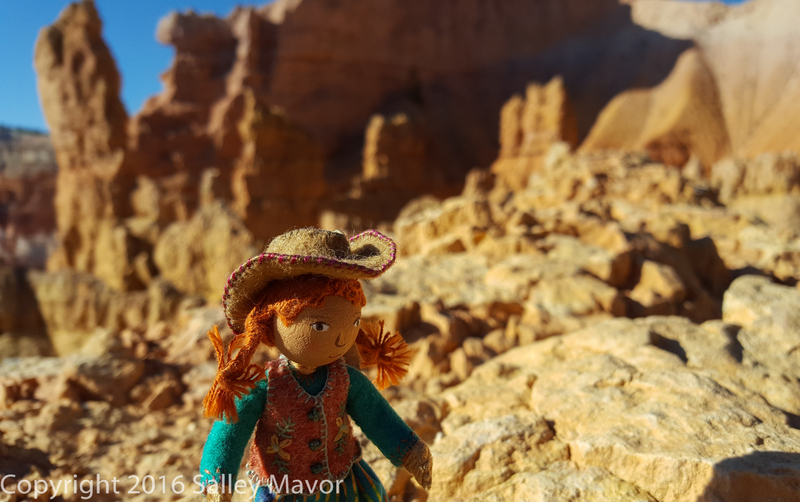 From there she drove through the countryside and visited Kodachrome National Park (above video) and Brice Canyon National Park. 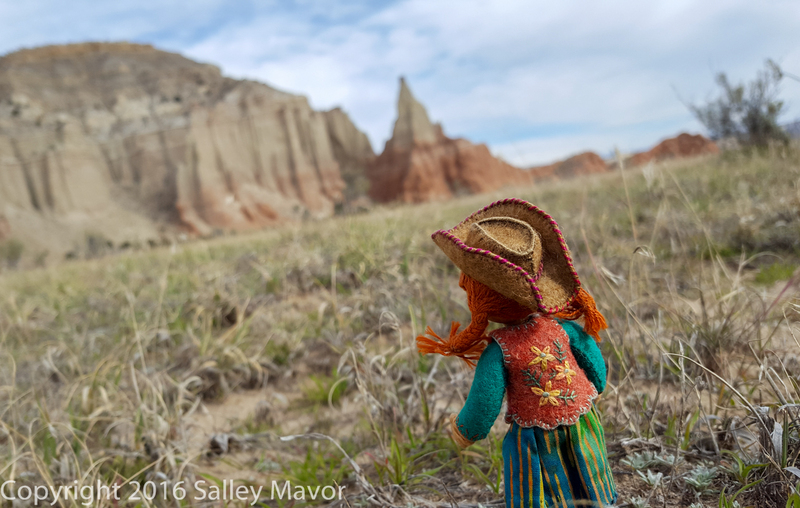 The scenery was so spectacular that she could hardly believe her eyes! The Fall palette featured her favorite color combination, green and orange, with lots of subtle variations in between. 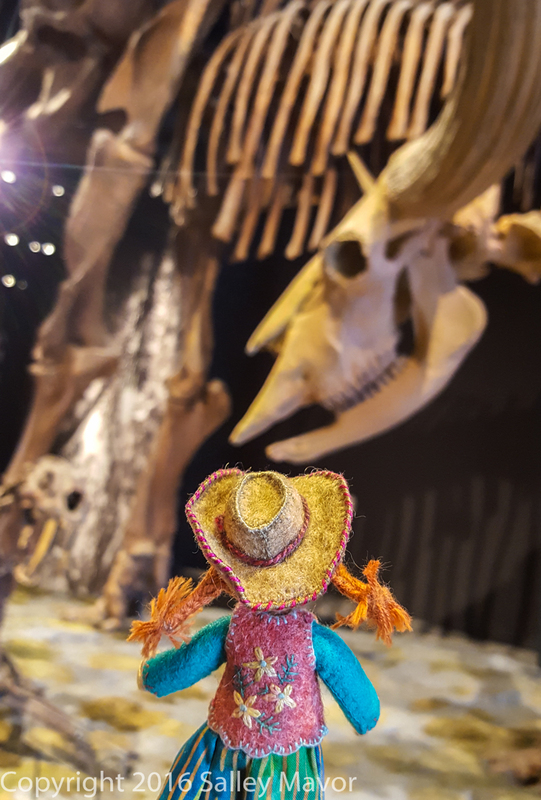 Polly really enjoyed the Natural History Museum of Utah in Salt Lake City. 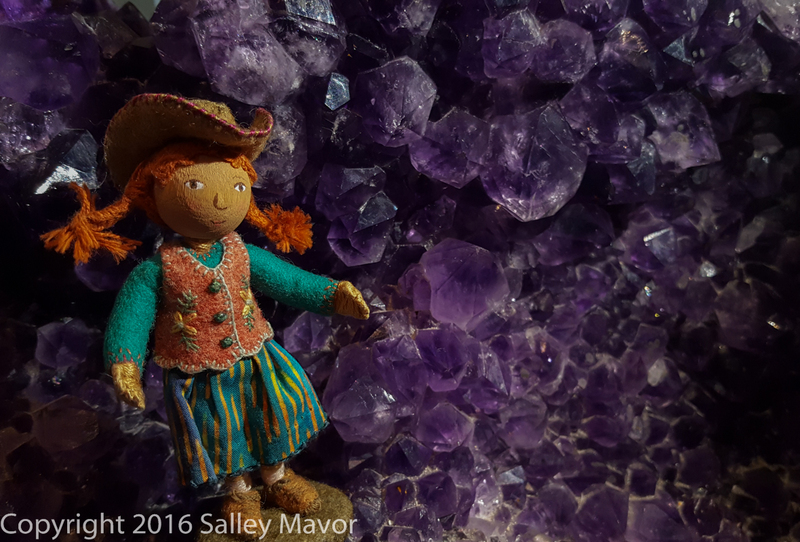 She got up close to some gems, plaster animals and old bones. She’s looking forward to her next trip this winter, where she’s hoping to meet some real live animals up close! To keep up with new posts, subscribe to this blog (top right column on the home page). Your contact info will not be sold or shared. If you’d like to see more frequent photos tracking the projects in my studio, please follow me on Facebook and/or Instagram. 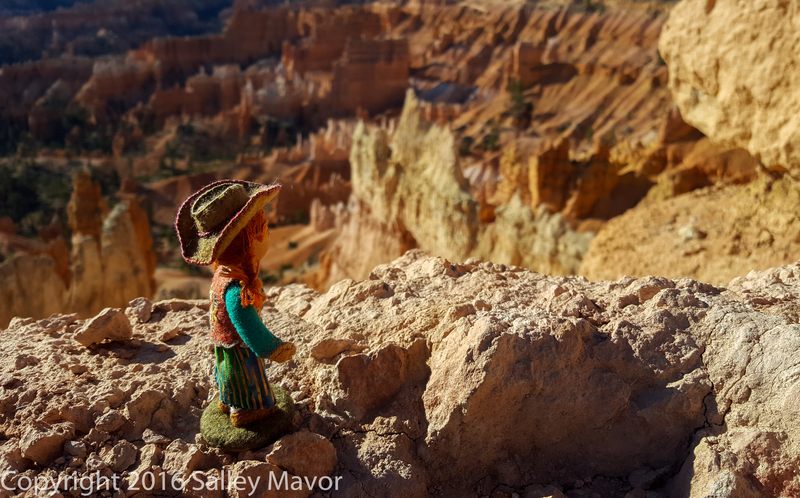 This entry was posted in Nature, Photography, Polly Doll, Travel, Wee Folk by Salley Mavor. Bookmark the permalink. She was perfectly dressed for her trip! Darling! 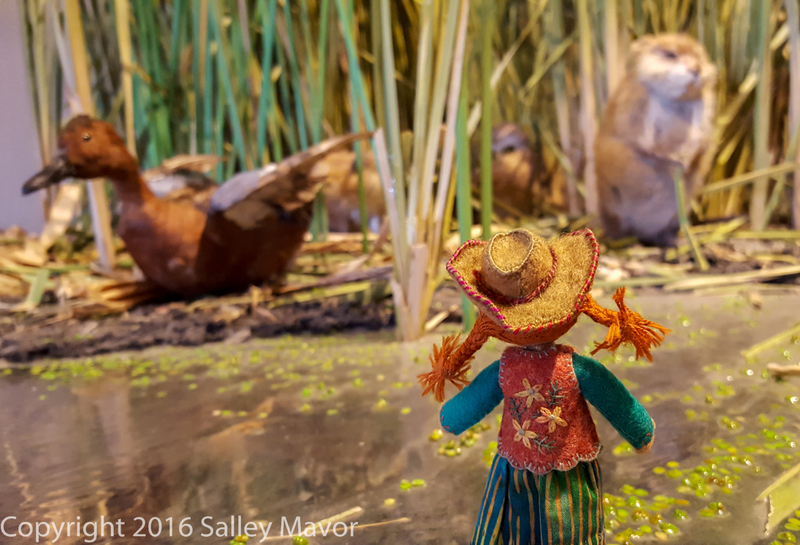 Re: hopes to see live animals up real close…Polly, be careful what you wish for. Beautiful Salley, thank you very much. Thank you for sharing Salley. Polly as always you are such a wonderful tour guide. I can hardly wait to revisit Utah again and hopefully catch some of these sights. Sally! I only live 4 hours of Brice Canyon. I forgot when you said you were going to be there. It’s beautiful there. I’m glad you sent in fall. It gets hot around there.